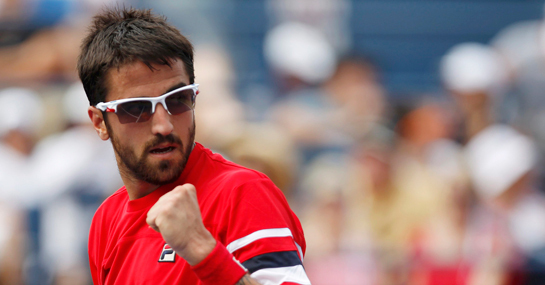 Janko Tipsarevic is like the Wigan Athletic of the tennis betting, his unpredictability makes him a nightmare for punters. The world number 20 has always had the tennis game to establish himself as one of the world’s top ten tennis players but the Serb has never produced strong performances on a consistent basis to be considered as one of the better bets on tour. Take this season, having reached the semi-final in his first tournament, he suffered a second round exit to Fernando Verdasco in his next tournament, the Australian Open. Having reached the final of the Delray Beach tournament, he suffered a second round exit in his next ATP Tour event in Indian Wells to Sam Querrey. A final appearance at Eastbourne was followed by a first round exit at Wimbledon and a semi-final appearance in Montreal was followed by a second round defeat in Cincinnati just a fortnight ago. Tipsarevic has looked strong so far at Flushing Meadows, dropping just one set and winning two sets 6-0 – he was 5-0 up on Tomas Berdych when the Czech retired. When he’s on form he’s worth following and the Serb has proven this week that he’s at the top of his game and today will be a tough task for Djokovic. Most of the money in the US Open winners betting is on Djokovic and the world number one is 1/33 to beat Tipsarevic today. The two friends have met twice before and Djokovic has won both of those meetings, but both went the distance despite Djokovic never being bigger than 1/9 in the betting. Djokovic fans can expect to see their man progress today but it’s going to be a tougher battle than many are expecting and that means there is value to be found in the betting. A 3-1 win for Djokovic is priced at 10/3 and looks the pick of the markets with the 5/6 for over 29.5 games in the match also appealing.